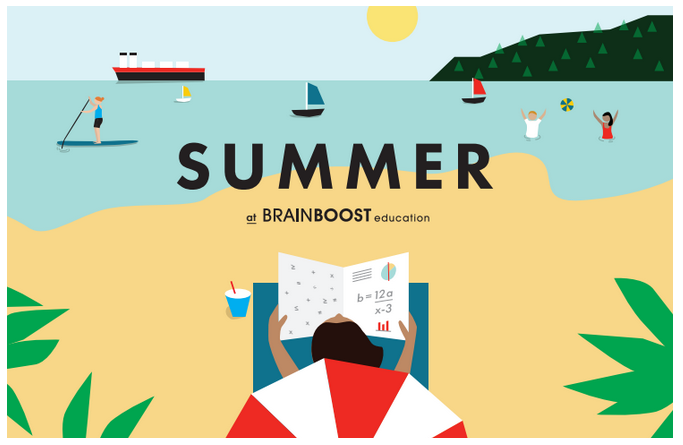 Summer at BrainBoost is your one-stop shop for summer learning, and a surefire way to get you where you’re going. 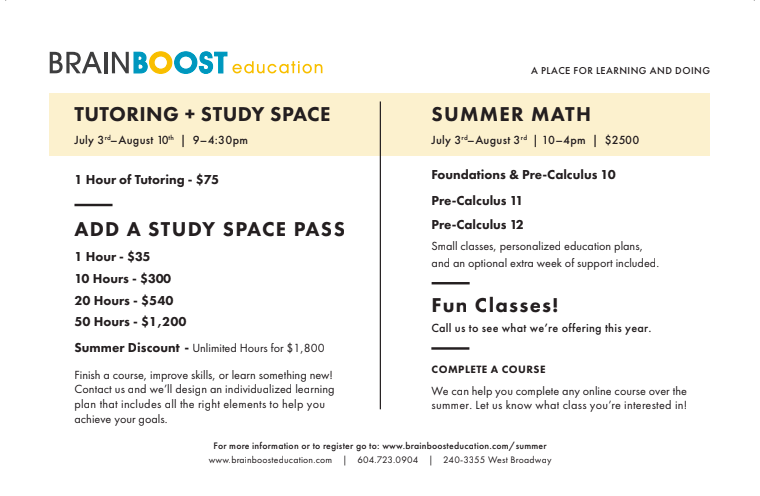 Whether you’re a regular to BrainBoost, or brand new, spending the summer with us can get a course off your plate or lighten the load in your September schedule. 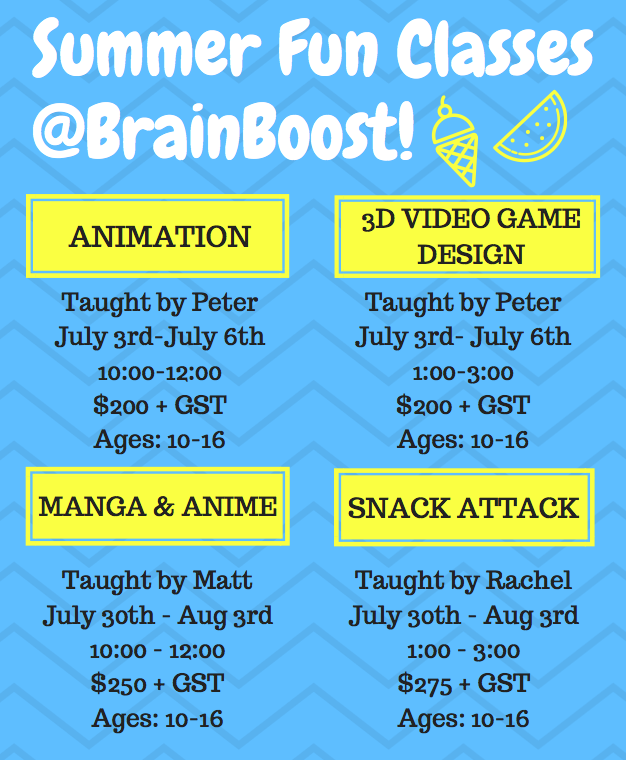 Summer at BrainBoost is tailored to your needs. Our team will consult with you about your goals, and we’ll design a program that works, be it a full-on course or one-on-one tutoring. We’ll find the right tutors, and introduce you to our study space team. You’ll get started and find your summer boosted.